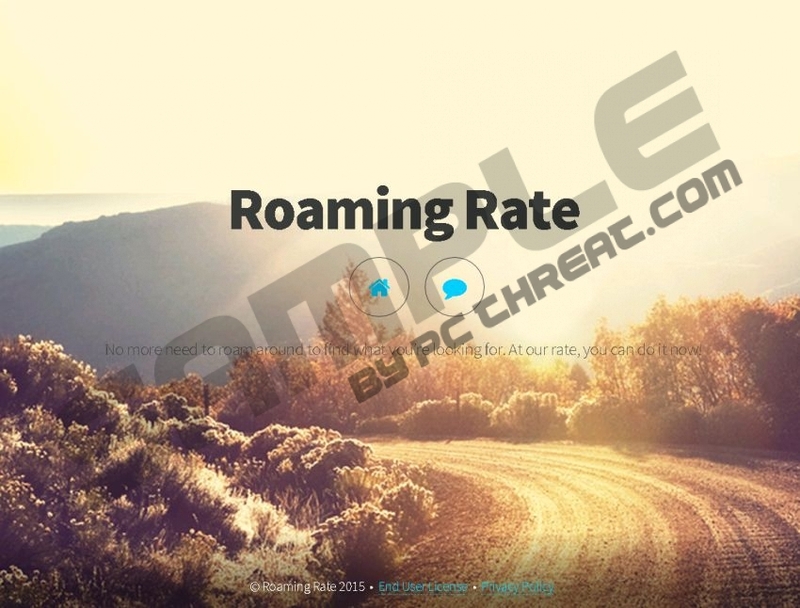 Roaming Rate cannot be downloaded from its official website roamingrate.com, because an installer has not been provided. Instead of distributing this application officially, its developers have decided to trust third-party software distributors. Our malware analysts have discovered that this program is most likely to be installed with Brothersoft downloaders, and this might be a reason to delete this suspicious application. If you are trying to remove Roaming Rate, we recommend reading this report. The name of Roaming Rate is very ambiguous, but this is not at all surprising. Parties that develop ad-supported software (adware) do not dedicate time creating attractive names, which is why they simply use what has not been used before. Of course, computer users are unlikely to remove software just because of the strange-sounding names. Browse Pulse is another program that uses a strange name, and it is a clone of Roaming Rate. The users of this browser extension should remove it as well. Most users are aware of Roaming Rate, as it is unlikely that this advertisement-supported program could be installed without permission. Needless to say, if this were the case, you would need to delete Roaming Rate ASAP. Of course, we recommend removing this program even if you have installed it willingly. If you don’t delete this adware, you will encounter the suspicious Roaming Rate Ads every time you browse the web. These advertisements could show up as banners or pop-ups. The removal of Roaming Rate is not very complicated, and we will go through the process soon enough. However, before you delete Roaming Rate, you need to inspect your operating system. This is very important, because unreliable and malicious programs could have been installed on your PC bundled with Roaming Rate without notice or even without permission. It is essential that you remove all malicious threats, and you will not be able to succeed if you don’t know which threats you need to delete. Run a legitimate malware scanner to find which programs on your PC require removal. Can you delete these programs yourself? If you are 100% sure you can, don’t waste any more time and delete them. Then follow the manual removal instructions below to delete Roaming Rate. If you are not sure that you can remove undesirable software yourself, you can wipe your worries away by installing automatic malware detection and removal software. Use SpyHunter for the best up-to-date removal services. Navigate to Uninstall a program and right-click Roaming Rate. Uninstall the program you have decided to delete. Access the Metro UI menu, open the Charm bar, and click Search. Quick & tested solution for Roaming Rate removal.